If you have been wondering what the new Grand Theft Auto Five (GTA V) game might have in store for you once its launched later this year. An ex-Rockstar employee who recently got sacked from RockStar North for general misconduct, has now revealed plenty of details about the new GTA 5 game and what you can expect. 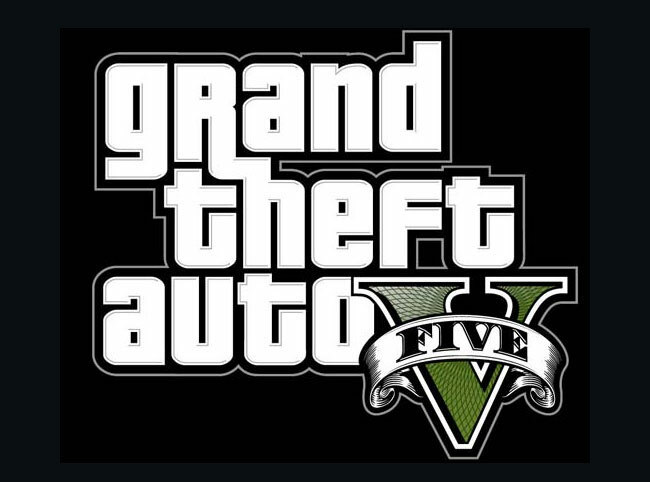 GTA V is expected to arrive around June 2012 and might well include the following details supplied by the ex-Rockstar employee. 1. The protagonist will be one character, and one character alone. His name is (as some rumours said) Albert De Silva. He’s a half hispanic man who was once part of a crime family in Vice City. He decided to settle down and have kids in Los Santos. He has one son called Kevin De Silva who is your stereotypical CoD player. He’s lazy, useless and shouts racial abuse online and is really into FPS games. Kevin does admire his Dad though. 2. Multiplayer will hold 32 people on the Xbox and PS3. I wasn’t told how many were able to be on the PC. Just like in RDR, players will be able to form Gangs. These gangs are not ranked through XP anymore, but via Reputation. Instead of gang hideouts, you can do jobs that range from robbing a launderette to breaking into a military base and stealing state-of-the-art weaponary. The Gang leader has much more control over his or her gang by being able to rank members of their gang and setting more specific objectives to specific members of their gang. Gangs can have their own terratory but this only applies to areas inside the city of Los Santos. 3. The map is about 5x as large as the GTA IV map and the City of Los Santos takes up just under half of this area (so it’s a bit bigger than 2 GTA IV Liberty Cities). The map is (like most GTAs) seperated into three different sections. 4. Planes are flyable, they range from World War 2 fighter planes to Private Jets. 5. Cars and guns are customisable to an extent, for example, you can cusomise a gun to have a supressor on it and you can install nitrous into cars. 1. The protagonist is the “rich guy” from the GTA V debut trailer. You get to learn more about this man in the second when he talks about his troubles. You only see the protagonist twice in the trailer. First time is the side of his face and second time is when he is driving a Deceptor (Audi R8). The people robbing the jewellery store are just with the protagonist. He is driving the van ready to get away. 2. Gunfights are more realistic. When you are shooting a gun out of a window of a car, depending on how fast it’s going you will have troubles aiming due to shaking cameras. 3. The game is due in May 2013. A more specific date has not been decided because the game is still needing 6 months to be fully developed. They will have a playable demo at E3. 4. Police chases are now way more than either running or driving. Depending on how wanted you are, police may bring out riot shields and flash bangs. 5. When someone reaches 4 star wanted level, there will be a radio warning on some stations. 8. The protagonist DOES NOT die unlike in the last two Rockstar games. 9. The underworld actually has a working economy that you can contribute too by buying and selling drugs, weapons and illegal cars in single player. 10. The protagonist can take drugs which will have some effects. But smoking weed on the streetwalk will lead to getting a one star wanted level. 11. Police cars will go after you if you’re obviousely breaking the speed limit. Having high speed crashes will also damage your health. 1 star – police follow you on foot and try to make an arrest. No sirens, no car chases (unless you are speeding). 2 star – police will still attempt to make an arrest. If a weapon is drawn then the police will begin opening fire. Police will use stun guns if a weapon is not drawn. 3 star – Chases begin and the police don’t care how they stop you, they just want to do it. 4 star – road traps, radio stations and much more hostile police.Even when you have evaded them, they will still search for 24 in-game hours for someone matching your description. 5 star – shoot to kill, arrest only if it’s made very possible. Even when you have evaded them, they will still search for 48 in-game hours for someone matching your description. Few missions become unavailable if you are wanted. 6 star – military vehicles come after you. Even when you have evaded them, they will still search for 72 in-game hours for someone matching your description. Some missions become unavailable if you are wanted.